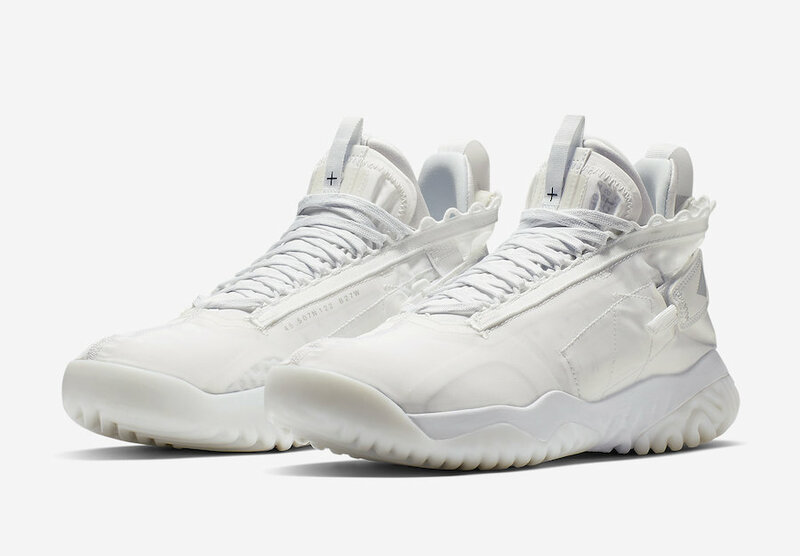 Jordan Brand is giving their newly Proto React model the “Triple White” makeover for the warmer months ahead. This release comes dressed in an all-White color scheme with hits of Grey and Black on the branded areas. It features an expressive Nike React technology midsole, adjustable heel straps for custom fit and Flight Utility graphic details on the tongue and heel tabs. Check out the official photos below, and look for this Proto React to release very soon at select retailers and Nike.com. The retail price tag is set at $150 USD.